Are you Skeptical about Cauliflower? Let me just confess now: Cauliflower is NOT my favorite vegetable, and I think there are quite a few people who agree with me. But for the people that enjoy cauliflower, good for you! It is a very healthy vegetable that can be used in many different ways and dishes, or even served by itself. It could even contend for the ‘Most Diverse Vegetable’ award. 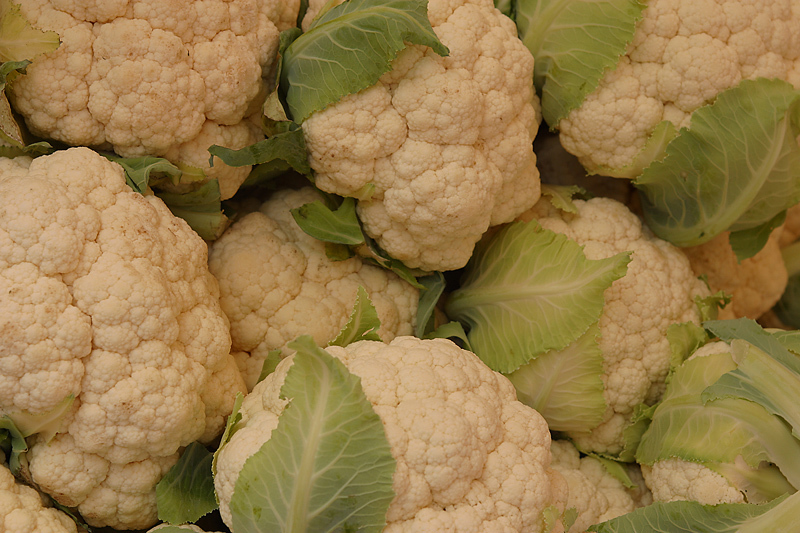 Cauliflower is a cruciferous vegetable, meaning that it comes from the family Brassicaceae. Also in that family are the vegetables broccoli, arugula, turnips and radish among many, many others. The vegetables in this family are some of the healthiest around and are all full of vitamin A carotenoids, vitamin C, folic acid, and fiber. Cauliflower in particular is also packed with vitamin K, protein, and manganese. Cabbage comes from the same family as cauliflower, which is why cauliflower can trace its roots back to a type of wild cabbage. It is thought to have originated in Asia, and became an important staple in Mediterranean cuisine around 600 B.C. The first time that cauliflower was actually cultivated on a large scale was in the mid to late 1800s, which was also the time it was first spotted in the United States. Today, cauliflower continues to be a staple in diets around the world, and is used in everything from salads to pizza crust. Hopefully cauliflower will become everyone’s new favorite vegetable, with its versatility and the fact that it is one of the most nutritious veggies out there. And, the best part is that Arizona grows a lot of this wonderful vegetable, especially in Yuma during the winter months. To help anyone who is still skeptical get started, Fill Your Plate has a tasty Cream of Cauliflower Soup that will turn anyone into a cauliflower lover! This entry was posted in Food Facts, Produce, Recipes, Vegetables and tagged Brassicaceae, Cauliflower, Cruciferous vegetables, Healthy, Vegetable, Veggie. Bookmark the permalink.